European Supreme: 600+ fill power. Baffle box construction, fine Egyptian cotton 300 thread count cover. 5 year guarantee against manufacturing defects. 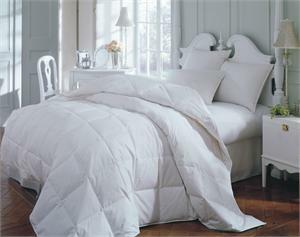 This comforter is available in medium weight only.